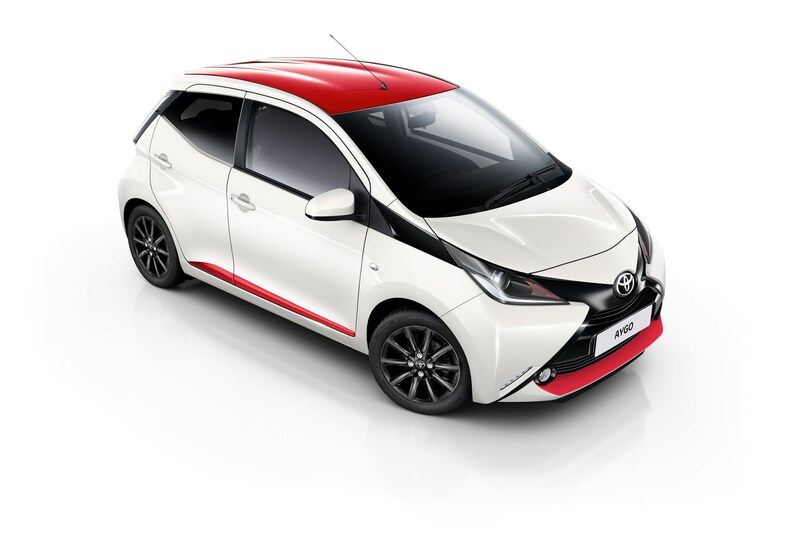 Toyota has launched two new Aygo models, x-press and x-style, to demonstrate the raft of customisation options available in the range. Prices start at £11,935 and both models include 15-inch alloy wheels, automatic headlight activation, climate control and body coloured trim. Other standard features shared by both models include a reversing camera, front fog lamps, Bluetooth, heated door mirrors with power adjustment, DAB tuner, leather steering wheel trim, electric front windows, Hill-start Assist Control, height-adjustable driver’s seat and LED daytime running lights. The new models can also be specified with a Toyota Safety Sense package of active safety features, including a Pre-Collision System, Autonomous Emergency Braking and Lane Departure Alert. This extra protection adds an extra £375 to the on-the-road price tag. Like all Aygo models, the newcomers are powered by Toyota’s 70ps three-cylinder 1.0-litre VVT-i petrol engine, with a choice of five-speed manual or x-shift automatic transmission. All versions keep a firm lid on running costs with sub-100g/km CO2 emissions and official fuel economy from 68.9mpg. 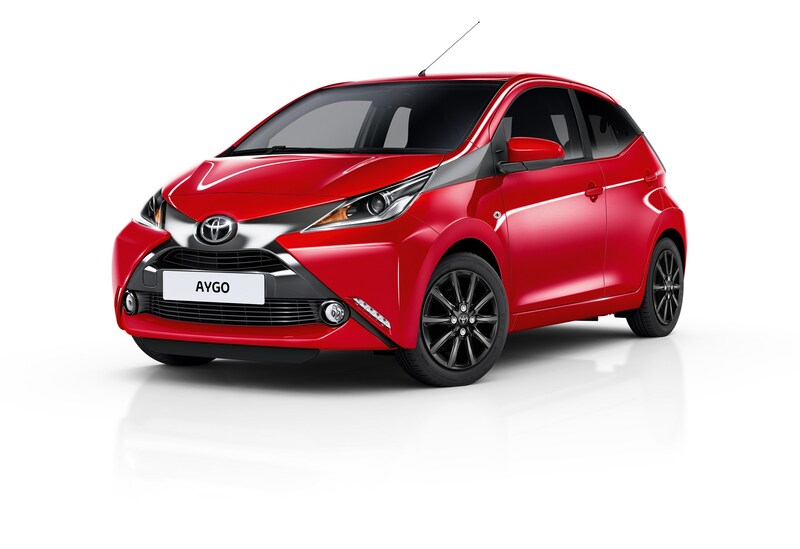 Red is the stand-out shade for the new Aygo x-press, featured in eye-catching accents below the front bumper and rear diffuser, the side sills and a full roof decal. There are four body colours to choose from: Silver Splash, White Flash, Electro Grey and Bold Black, matched with a black front X (or silver with the black paint finish). Rear privacy glass and, gloss black wheels enhance the style factor. Door handles and door mirror casings are finished in the body colour. In the cabin the instrument panel matches the body colour, with black surrounds for the air vents and gear shift and a black centre console. 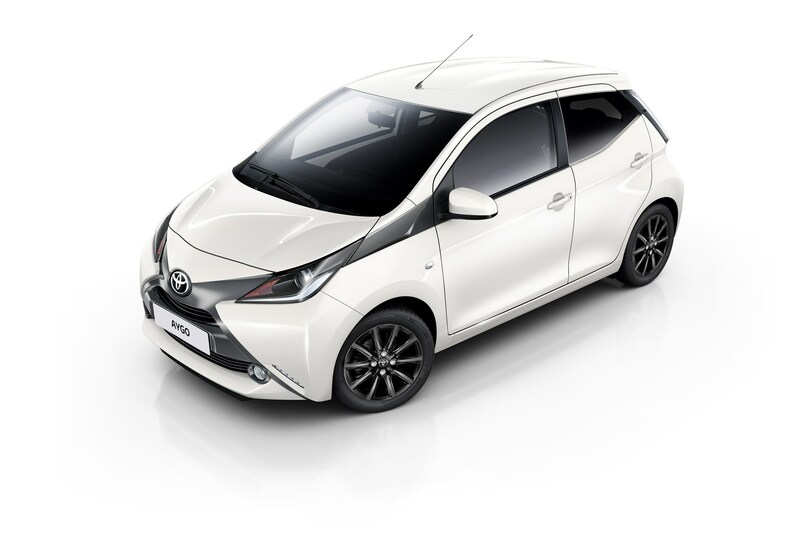 The new Aygo x-style takes a more sleek and sophisticated approach, adopting the features of the OUT-stand accessory pack – grey front X, front pillar extensions and rear diffuser. Pick Electro Grey for the body colour and the same custom elements are fitted, but in silver. Like the x-press, the wheels come in gloss black (with Red Pop, White Flash or Bold Black paintwork) or machined face finish (Electro Grey, Deep Blue Buzz and Silver Splash). Rear privacy glass, body colour door handles and door mirror casings are all included as well.